I drove pretty well -in fact, I missed four fairways into the first cut of rough, and had one out of bounds. 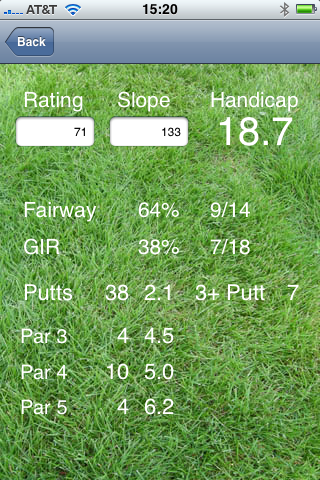 I played the par fours at bogey but suffered on the par 3 and par 5’s. 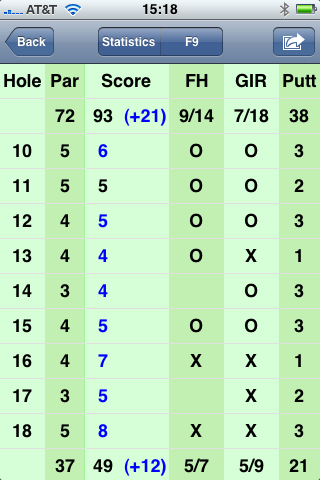 But again, to accentuate the positive -I took an average of 2.1 putts/green which is better than 2.7 putts per green which was my season average based on the cards that I kept. I kept a positive attitude through the round and for the first time in a long time, could see the line. 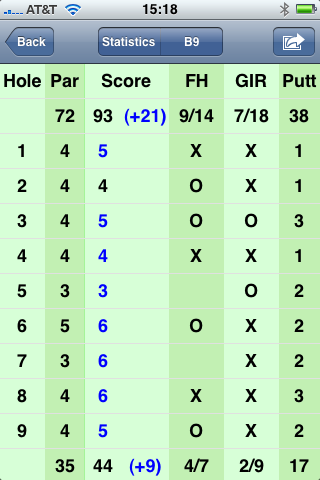 The line was not the problem today -it was the strength with which I hit the putts -I missed two birdies by overrrunning the hole. It was a great round played in bad weather -for most of the round, we had steady light rain and cool winds which kept the balls on the green -I stopped a hybrid 4 at 176 yards dead on the green thats how soft it was. My playing partner, DH, who also toughed it out, agreed that it was a fine day for golf. I mean, would you miss church because it was raining a little?